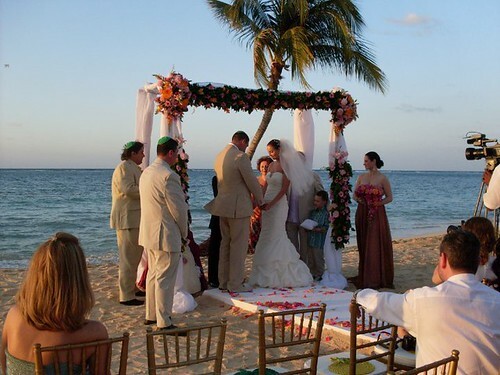 Planning a destination wedding but dreaming of an elegant affair? Take heart! The two are not mutually exclusive. While a casual white mini dress and flip flops are an option, they are not the dress code. 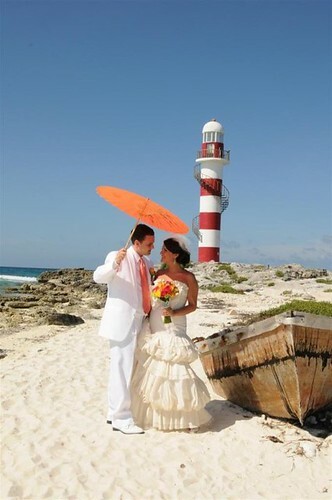 A destination wedding look can ooze sophistication, as a few of our beautiful Bridal Styles real brides show! For her wedding to Felix, Sadi chose a wedding gown with traditional embroidery, chic elements, and a figure-skimming silhouette. 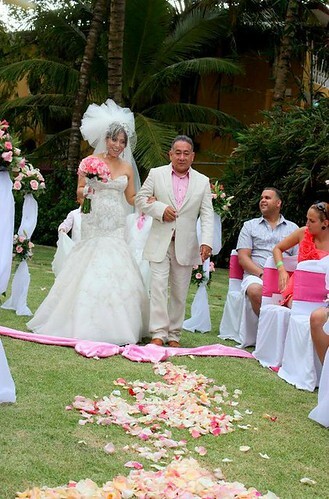 When she visited Bridal Styles, we helped her select a dramatic veil and spectacular headpiece, to complete a polished look straight off the runway and into the tropics! A whimsical mermaid wedding gown with ruffles and divine layers of silky ballooned fabric as Michele chose has a playfully vintage feel. Finished with a stylish cage veil and headpiece chosen at our bridal accessory boutique, her timelessly romantic look was complete. When Stella visited Bridal Styles, she had chosen a sophisticated, draped mermaid wedding gown with a dash of sparkle at the neckline. Keeping true to her vision of classic with a destination twist, Stella chose a romantic, full veil that revealed her exquisite, dazzling headpiece and earrings after her ceremony. To find the perfect bridal veils, accessories, and headpieces to complement your destination wedding look, visit us at Bridal Styles, our bridal accessory boutique in New York! This entry was posted on Tuesday, October 19th, 2010 at 1:59 pm	and is filed under Bridal Trends. You can follow any responses to this entry through the RSS 2.0 feed. You can skip to the end and leave a response. Pinging is currently not allowed.